An image by Winston Wachter artist Peter Waite was reproduced in the October 2008 issue of Harper’s Magazine. 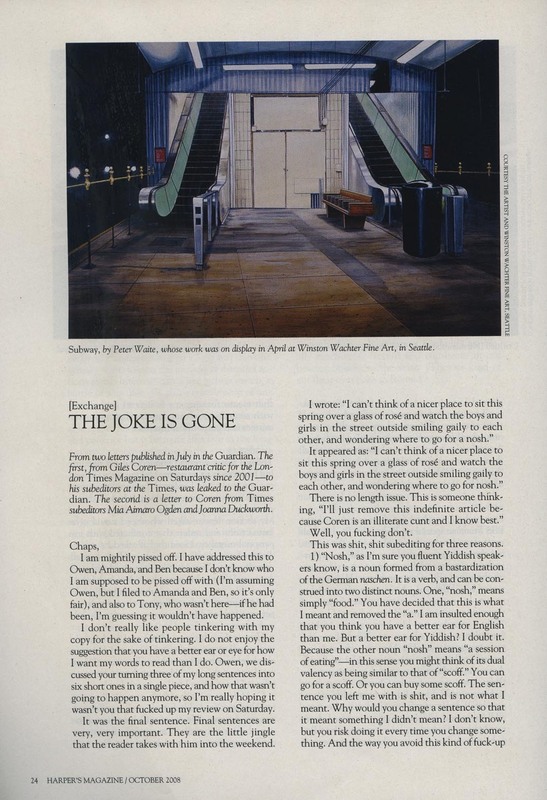 His painting, Subway, is featured on page 24. If you are interested in seeing other works by Peter Waite, please contact Megan Des Jardins at (206) 652-5855 or visit www.winstonwachter.com.